One of Android’s biggest strengths for a long while was that it was the only mobile OS capable of true multitasking. 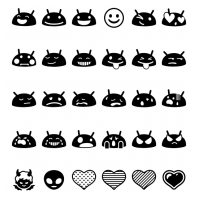 That is no longer the case, at least most of the time, but Android still excels at being chock full of features allowed by the complex operating system. Some of this relies on the fact that apps are allowed to do background operations, stay in memory, wake the phone up, and so on. Unfortunately, this also brings some issues forth, especially if you have apps that misbehave and contribute to draining your battery, or constantly send notifications. 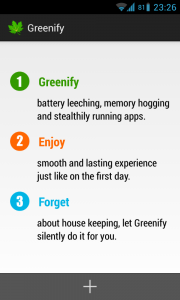 Thankfully, due to the very same openness that allows apps to do that, you can now also do something about it with Greenify, an easy to use app that will let you take back control from your apps. 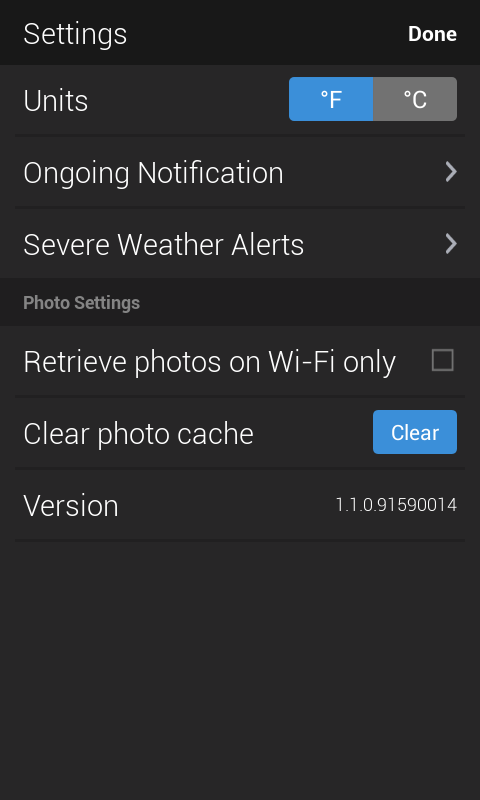 Greenify does require root, so keep that in mind if you’re interested, please! That being said, let’s take a look at the app itself! 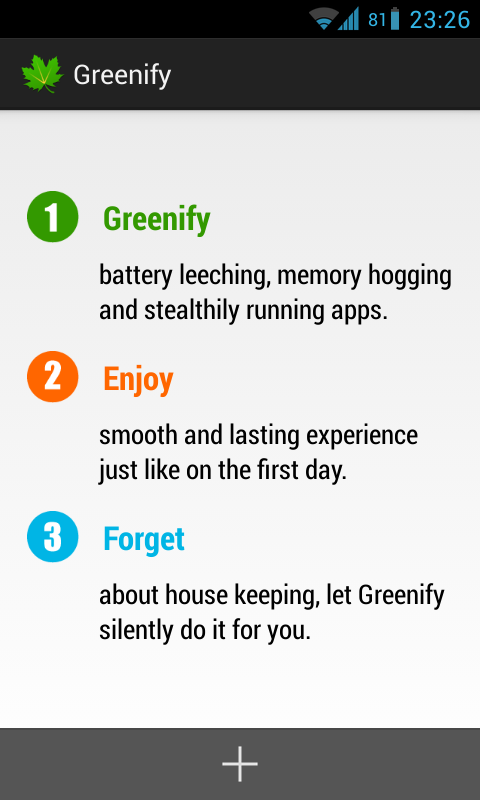 Greenify is an app that allows you to “freeze” certain apps, making them unable to do those very same things mentioned above. Basically, as soon as you exit the app and the device goes to rest, that app cannot do anything else. No notifications, no waking up the phone, no checking for updates on the background, nothing. Of course, this goes against the interest of some apps, but you can select those you want to Greenify and those that you don’t. Basically, it’s a good tool if you already have an app doing these sort of things and want to fix it. 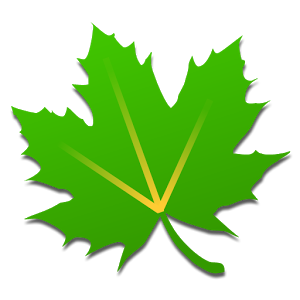 Greenify also saves your RAM, and does so by an approach unlike the very famous “task manager” apps of the old days. No, instead Greenify allows you to save RAM by keeping the app still open, but “frozen”, that is, compressed in memory instead of occupying the usual amount of memory. From here, it’s simple. All you have to do is tap the app you want to Greenify and press the checkmark icon at the top bar. This will cause a popup to emerge, letting you know it’s hibernating the app and the effects it will have. 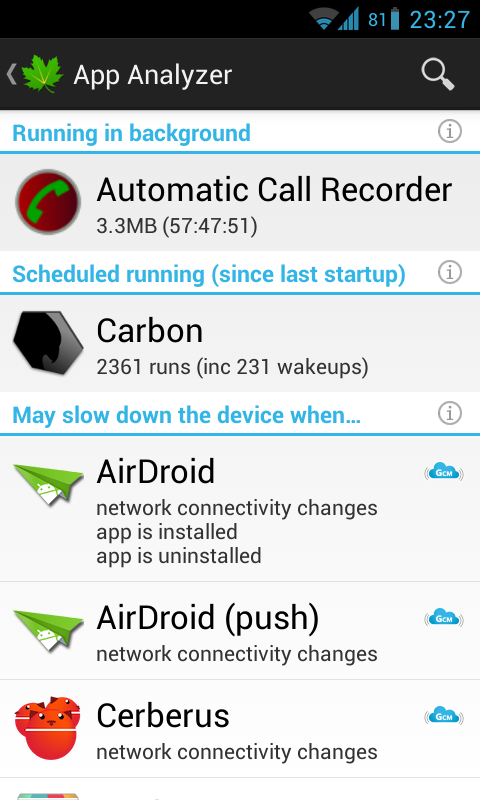 After that, you’ll be able to see a list of currently Greenified apps. To add another app, just press the Plus sign again. If the app you need to Greenify is not on the list, just press the “Show more apps” section at the bottom and you’ll see every app on your phone. 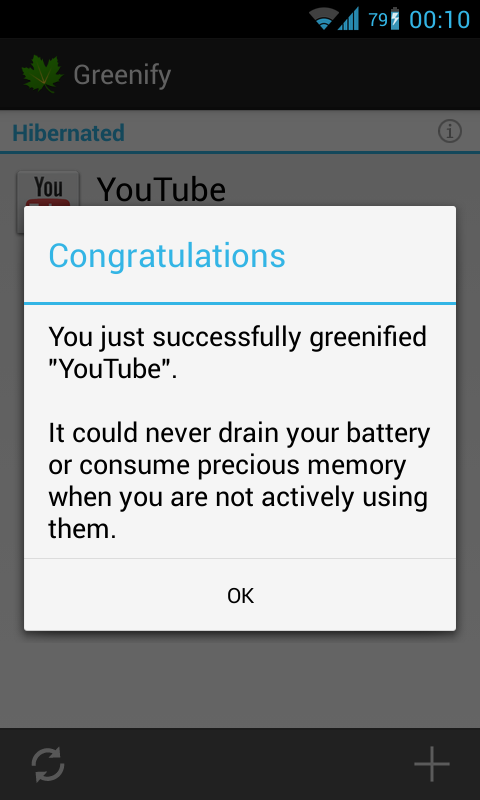 Greenify comes in handy in a lot of ways. First of all, it allows you to freeze and hibernate annoying apps (for example, if you are tired of the Facebook app spamming you with notifications or waking your device all the time, all you need to do is hibernate it, and all that is gone). 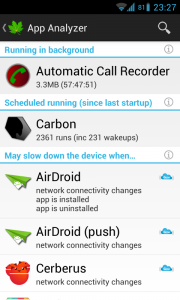 Second of all, it allows you to see what apps are running, which apps are active even without your consent, and which apps are scheduled to run soon or have waked up the phone recently. Finally, it allows you to freeze unused apps or apps that you don’t want or need running all the time, and take back the memory they use. So, as you can see, Greenify is a really nifty app. It’s very technical in the way it works, but it’s extremely simple to use, and the benefits are immense. Not to mention, it’s free (there’s a donation version with cutting-edge features, if you’re interested), and a very easy way to put misbehaving apps in their place, without having to uninstall the app and losing your favorite features. What have been your experiences with Greenify? Let us know in the comment section below!